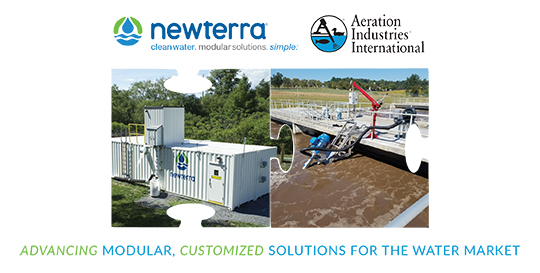 We are excited to announce that Newterra, a leader in decentralized and modular water, wastewater, and groundwater remediation solutions, has acquired Aeration Industries International. Together, we will have more than 220 highly-trained water professionals and experience operating in over 110 countries. The combined companies will leverage shared resources to provide you with expanded services and solutions.